chuuwee Chuuwee Premieres New "Habitual" Video & Album Stream For "Paradiso"
Chuuwee Premieres New "Habitual" Video & Album Stream For "Paradiso"
Chuuwee continues his reign of enlightenment with a crazy new hypnotic and hazy video for his new single “Habitual,” which was premiered today with 2Dopeboyz. 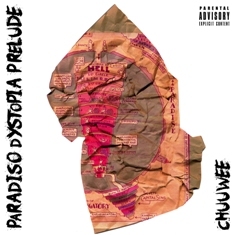 “Habitual” is taking from Chuuwee’s new album, Paradiso, which was released today (3-24-17) and you can listen to the full album stream for the project at Hiphopdx which premiered the stream earlier today as well. Paradiso is Chuuwee in his comfort zone; capturing the street savvy, world consciousness and political leanings which set him apart from most of his peers. Chuuwee’s Paradiso is now available!